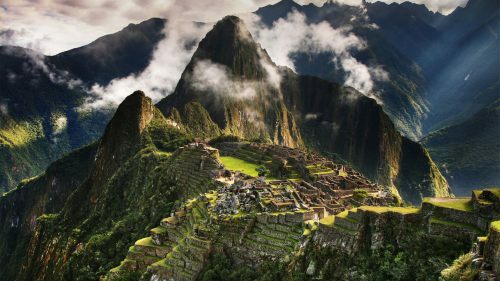 Aeromexico has dropped the price of their flights from Vancouver to Lima, Peru down to $537 CAD roundtrip including taxes. The flights have a 2-4 hour layover in Mexico City each way. For longer trips, you can try mixing and matching the dates from the list above. 3. Click through from Skyscanner or Momondo.ca to the booking site showing the cheap flight price. vancouver, yvr, flight deals, south america, lima, peru, lim and aeromexico. 5 Responses to "Vancouver to Lima, Peru - $537 CAD roundtrip including taxes"
Unfortunately all the Aeromexico prices started changing back on Thursday morning. Unfortunately all the Aeromexico prices started changing back on Thursday morning. They were around for about 12 hours. It's probable they were a mistake. Hey Chris, do you know of any good deals leaving Vancouver to Cuba? I am overwhelmed looking as my partner and I would like to spend a month there. Anytime from late December to mid January is the departure window we are open to. So appreciate all your help!